An Insanely Cool Sixth-Gen ZR1 Corvette Priced To Sell! When it was first introduced just a few, short years ago, the 2013 C6 Corvette ZR1’s base price was set at nearly $120,000 dollars. The car was a super-car behemoth, even by today’s standards, but what stood out for many enthusiasts was that this sixth-generation ZR1 was the first production Corvette to break the six-figure price point. 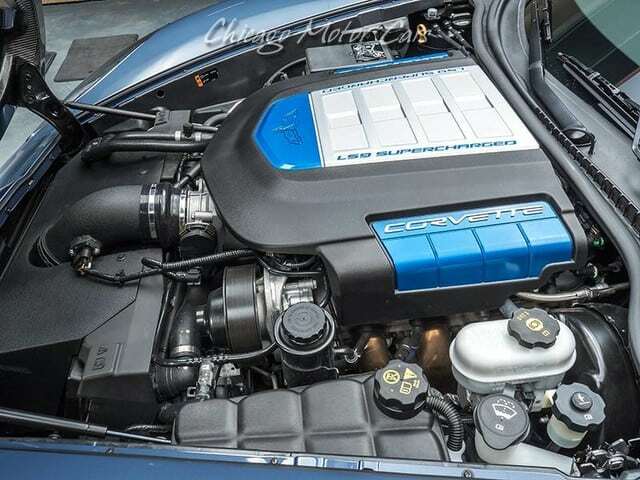 A 710 Horsepower, 2013 Corvette ZR1 currently for sale on Ebay. Fast forward just a few, short years and you’ll discover that this monstrous Corvette has depreciated considerably since rolling off the production floor in Bowling Green. Yes, there is a faster, even-more-powerful 755 horsepower seventh-generation Corvette available. There is also the 650 horsepower seventh-generation Z06 Corvette. 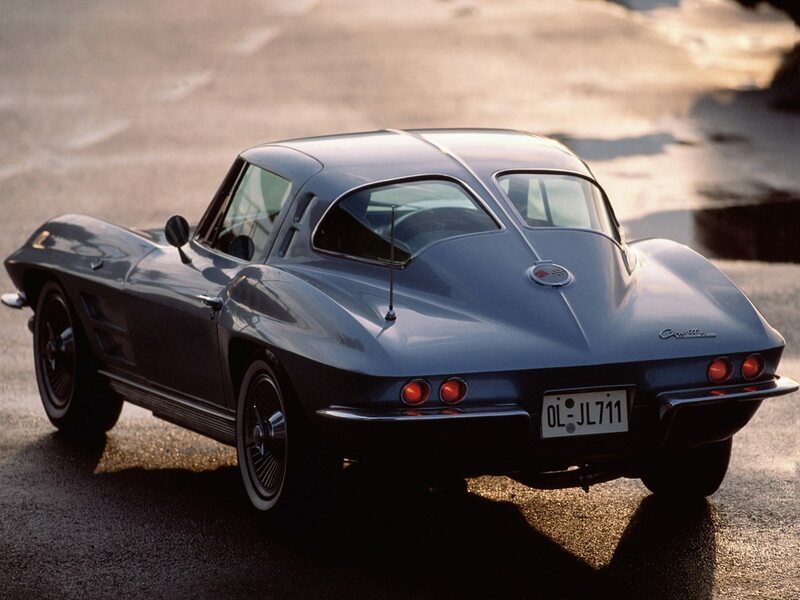 Both of these latest iterations of the Corvette come as either a coupe or a convertible, and both are packed full of new technology which was notably missing from the sixth-generation models. However, with all that power and technology comes a heftier pricetag. The latest Z06 (new) starts at nearly $80k (base model without options), and the new ZR1 starts just a hair under $119k (base). While it IS true that both of these Corvettes are an amazing bargain in the world of ultra-high performance supercars, it is also worth noting that the C6 Corvette ZR1, which was built from 2009 to 2013, has become an even-better value to consumers because of the introduction of these newer models. 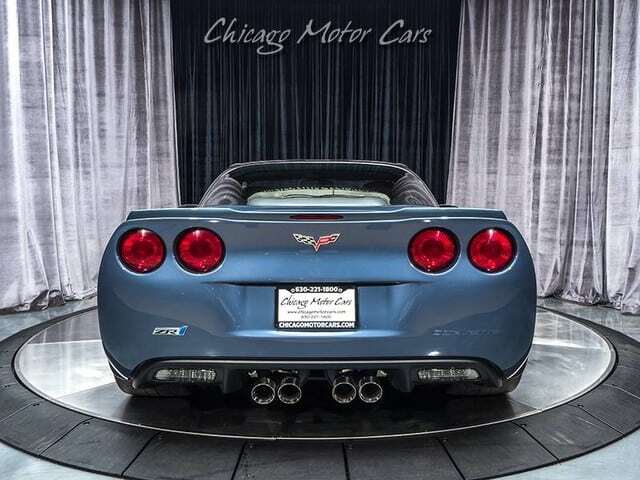 This 2013 Corvette ZR1 is finished in Supersonic Blue, a $300 paint upgrade when ordered new. Consider this: At this very moment on EBAY, there are more than a dozen sixth-generation ZR1 Corvettes for sale, and the prices on these cars range from appx. $57k to $78k. Also consider that many of these cars (not all, but most) have less than 15,000 miles on them. Some, including the one featured in this article, have less than 5,000 miles on them, which means you can now purchase a sixth-generation ZR1 for nearly half of what they sold for new just five years earlier. 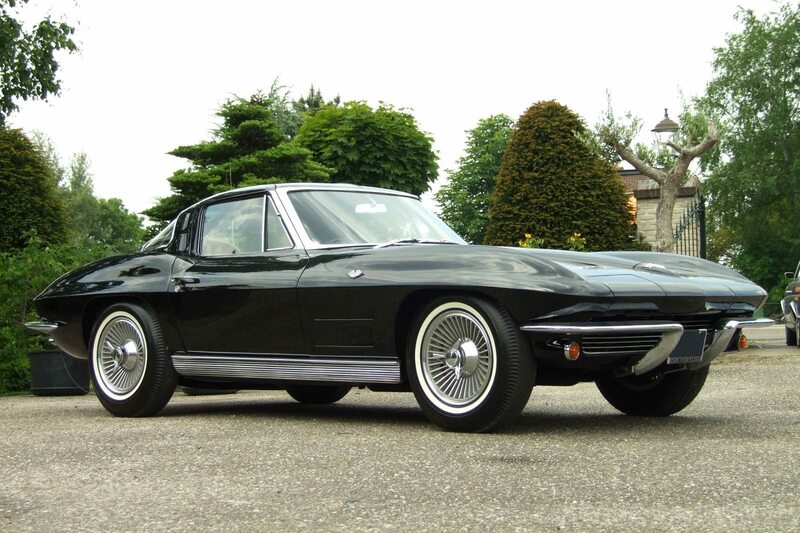 More than that, you can purchase a true super-Corvette for the same price as the seventh-generation base-model coupe. This 2013 Corvette ZR1 boasts 710 horsepower! 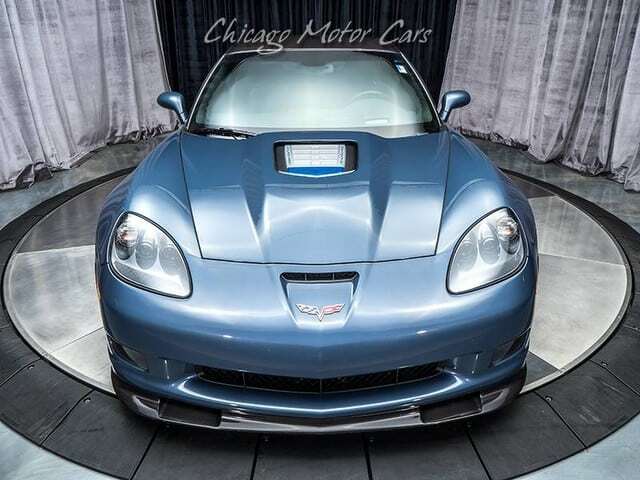 We sifted through all of the sixth-generation ZR1 Corvettes currently for sale on Ebay, and we ultimately selected to showcase this car for two reasons. This ZR1 has had some modifications made to it that put its engine output just about on-par with the 2019 ZR1 Corvette. 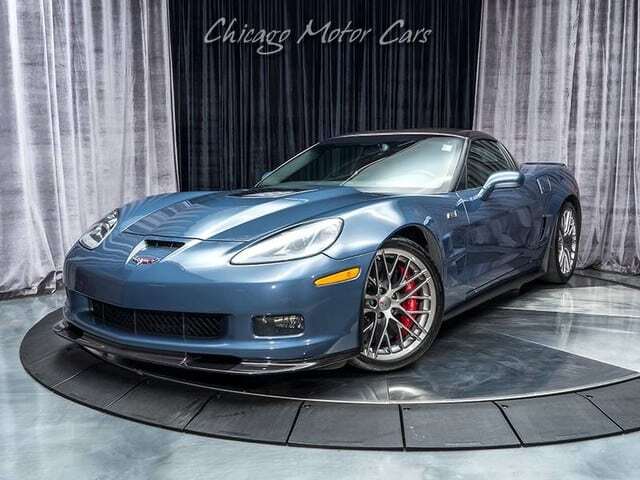 For sale is a 2013 Checy Corvette ZR1 equipped with the 3ZR Preferred Equipment Group (an option which added $10k to the base price of the 2013 ZR1 when purchased new.) The 3ZR package included: a custom, leather wrapped interior, BOSE premium sound, XM satellite radio, a power telescoping steering wheel, heated seats, memory package, universal home remote, power adjust sport bucket seats with lumbar support, a power passenger seat, bluetooth connectivity and a navigation system. 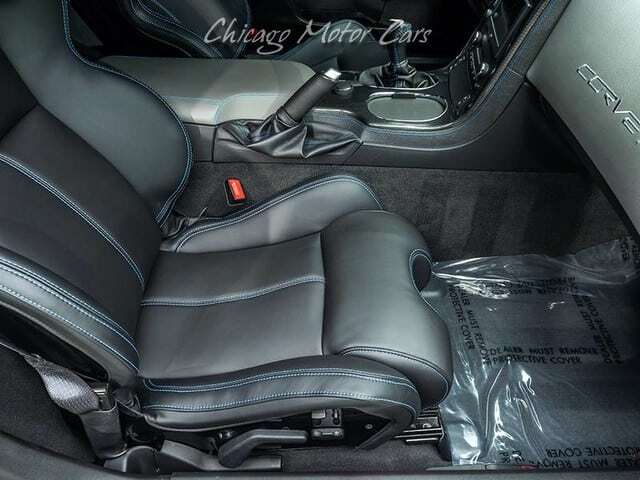 The interior of this 2013 Corvette ZR1 looks like new. Note the featured blue stitching! 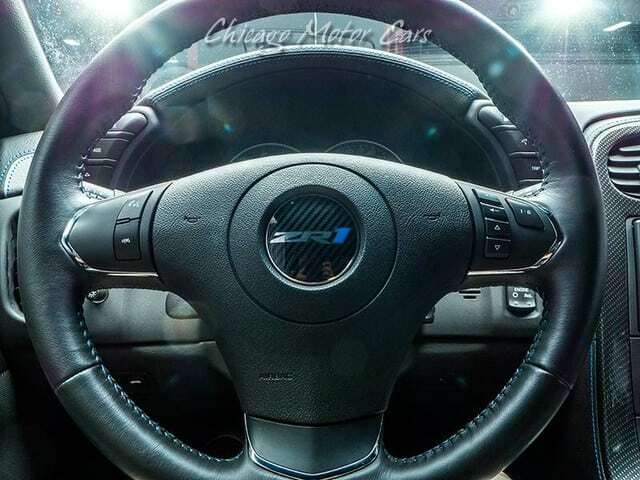 The steering wheel of the 2013 Corvette ZR1 Note the special “ZR1” center insert for the horn button. However, the upgrades didn’t end with the available factory options. 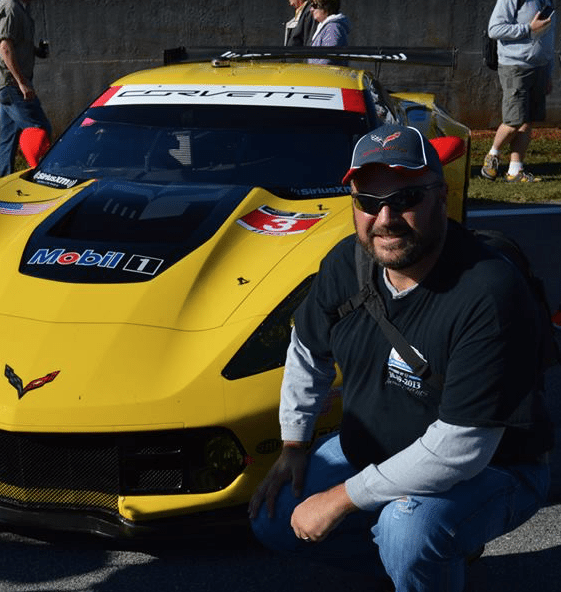 The owner of this ZR1 took the car to the next level and built a true, one-of-a-kind Corvette. For starters, they installed a high-capacity heat exchanger and bolstered the supercharged 6.2L engine to produce a staggering 710 horsepower thanks to the introduction of a special engine tune! The interior received customer upholstered seats with Dark Titanium leather and supersonic blue stitching. This factory-supercharged 6.2L engine had a rating of 638 horsepower when new, but was bolstered to 710 horsepower by the previous owner! So here you have a 710 horsepower, 2013 Corvette ZR1 Coupe loaded with all the goodies. It had a factory window sticker of $128,235 (before the tune and the other aftermarket upgrades) and is now selling for just $79,800 OR BEST OFFER! What makes this an even-sweeter detail is to recognize just how clean this car really is. Sure there are other sixth-generation ZR1’s out there for less money, but this beautiful example of the ZR1 really is nothing short of spectacular. 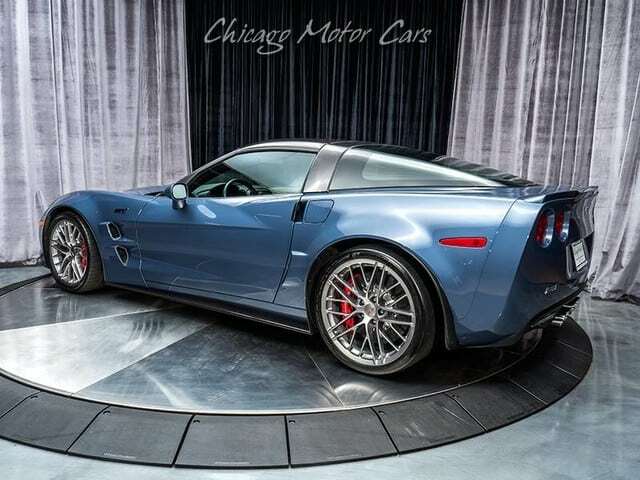 If you’ve been considering a ZR1 Corvette, you ought to give this one a look. We haven’t “vetted” (see what we did there?) the car in-person, and we’ve not been paid to promote/advertise this listing. We’re just drawing attention to this Corvette because we believe that someone out there might be looking for an incredible car at an unbelievable value and we think this is a great deal for an (essentially) NEW sixth-generation Corvette! To view the original Ebay posting, please click this link.